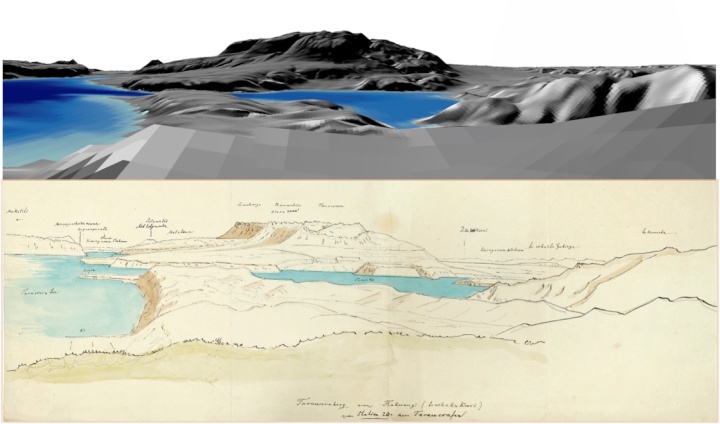 Geologist Ferdinand von Hochstetter conducted the only known formal survey of Lake Rotomahana before the 1886 eruption of Mt Tarawera which devastated the surrounding countryside, destroyed several villages and was responsible for about 120 deaths. It was the largest and most destructive volcanic eruption in New Zealand since the arrival of Europeans in the early nineteenth century. NIWA scientists Dr Andrew Lorrey and John-Mark Woolley have evaluated Hochstetter’s diary notes and reconstructed his survey sites and stations around Lake Rotomahana using LIDAR, or Light Detection and Ranging – a remote sensing system that uses light pulses to measure distance and topography. They combined that information with sketches drawn by Hochstetter and a map published in 1862 to pinpoint the former location of the terraces. “Our research agrees with previous findings by Professor Ron Keam and GNS Science that the former sites of the terraces are under the modern Lake Rotomahana,” Dr Lorrey said. The research was undertaken at the request of Tūhourangi Tribal Authority following conflicting findings about the former location of the terraces. 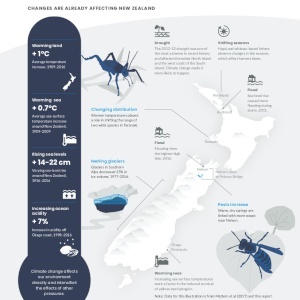 The new NIWA results have been published today in scientific journal Frontiers of Earth Science. The terraces formed over thousands of years as silica-rich water emerging from springs and boiling geysers crystallised into giant tiered staircases. The White Terrace covered more than three hectares while the smaller Pink Terrace was used for bathing on the lower levels. There was also a smaller, lesser known feature called Tuhi’s Spring, or the Black Terrace. The Terraces were a thriving tourist destination, attracting people from overseas, and described as the eighth wonder of the world. Dr Lorrey says Hochstetter’s survey bearings and sketches document Lake Rotomahana and the Rotorua landscape and include important details about the terraces, small geothermal features around the lake and some distant landmarks. 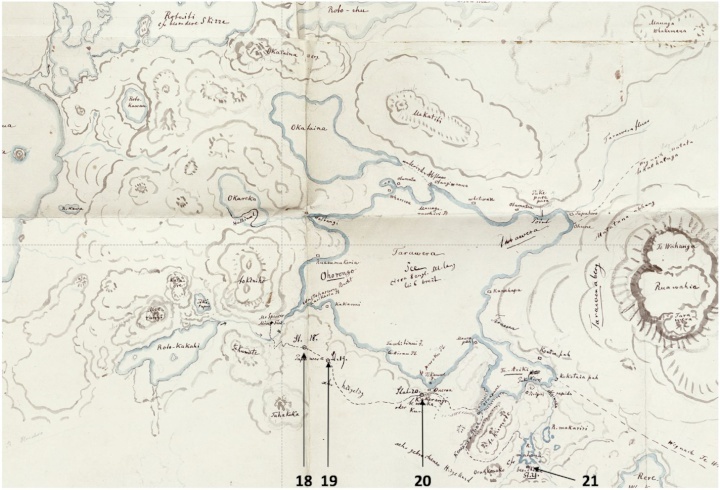 Hochstetter’s notes also contains several other draft maps that Dr Lorrey says were progressively refined as he continued his work. Dr Lorrey says the outcome also demonstrates the accuracy and utility of historic documents for scientific research. However, the position of the former Black Terrace remains inconclusive, although it is mostly likely located on land to the northwest of the modern Lake Rotomahana. As for the fate of all three terraces, Dr Lorrey says this latest research did not cover whether they were still intact. Tūhourangi Tribal Authority chairman Alan Skipwith acknowledged the Terraces Research Group that volunteered their time and work to assist ,and the lead provided by NIWA and welcomed their findings.